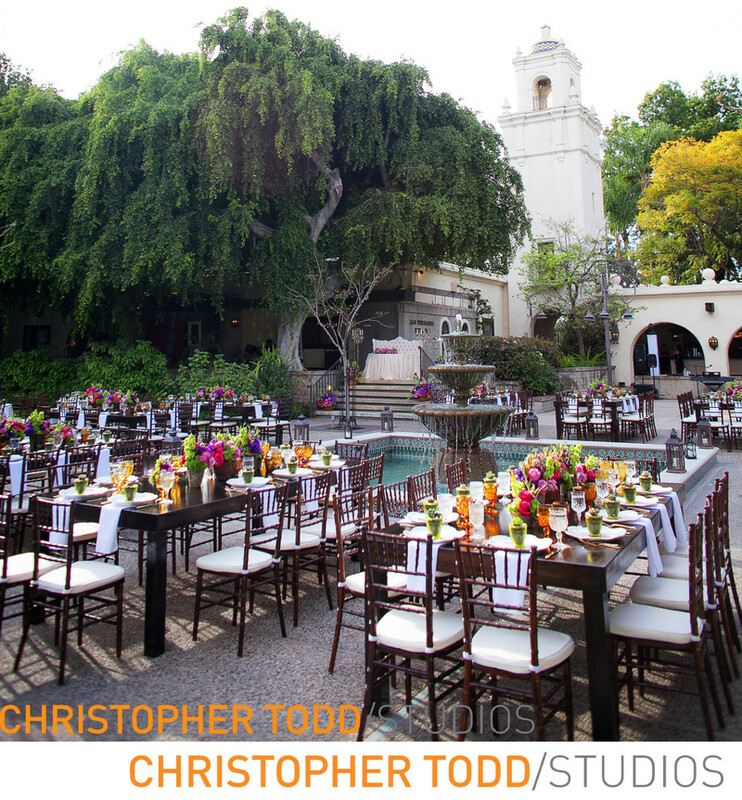 Los Angeles River Center and Gardens Wedding Reception is perfect for outdoor venues. This photo show the vibrant floral center pieces. Influenced by the mission style architecture the couple went with a spanish look. Location: 570 W Ave 26 #100, Los Angeles, CA 90065 . 1/2500; f/2.8; ISO 500; 24.0 mm.